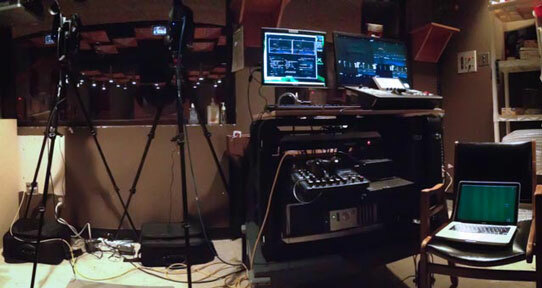 Webcasting produces a live video, audio and multimedia stream over the internet. We are able to broadcast your event or lecture to a global audience on the web, or to a private audience or overflow room. Event broadcast, i.e., UVic Convocation Ceremony or School of Music concerts. This service has recently been enhanced with the addition of High Definition for Live events, dual camera switching, a self-help wizard, Video on Demand (VoD), and Progressive Download. Please see Video on Demand (VoD) for additional information regarding file hosting. To request this service, complete a request for webcasting. We require a minimum of two weeks' notice prior to the start of your event. Bandwidth Charge (cost varies) - There will be additional charges for bandwidth capacity as the number of clients viewing increases. Please note that this data is collected at month end only. When less than 100 concurrent viewers are expected for an event there will be no cost for bandwidth. Additional Charges - Captured content can be moved to different media types such as DVD or online video. Email webcasting@uvic.ca or phone 250-721-8292 for details. Our normal working hours are from 8:30 am to 4:30 pm, Monday to Friday PST (Pacific Standard Time). Special arrangements can be made for webcasts outside these hours.